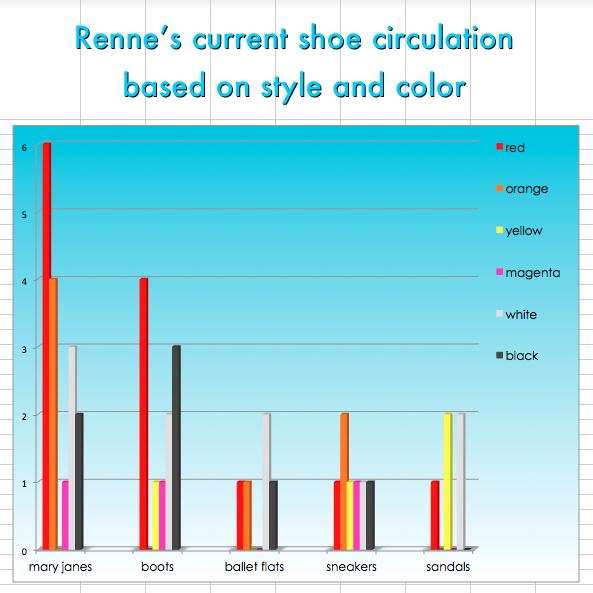 FAQ to Renne: How many shoes do you have? I did this chart for my Intro to Excel class at Peninsula College and then used it as a demonstration for my Website Design Basics class on how the “publicize” feature works with a WordPress blog. I am having my Digital Video Students create a blog and post their favorite movie or music video. This is mine. Because I don’t think any of us should be a slave.